Welcome to Rich Dairy Products Inc.
Rich Dairy Products Inc. is a family owned and operated dairy ingredient supplier and risk management company. 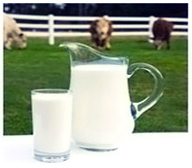 We serve both national dairy producers and end-users with the highest level of attention and the most competitive prices. After more than 40 years in the dairy business, our industry network runs deep, allowing us to offer competitive prices on a wide variety of dairy products including cream, butter, cheese, whey, dry milk powders, yogurt and more. Our understanding of the industry also allows us to offer risk management consulting and dairy supply chain strategy solutions. We strive to provide innovative services that add value to your business and anticipate your needs of tomorrow. We do this while maintaining the traditional values of hard work, integrity and personal attention that have allowed us to serve the dairy industry for more than four decades. 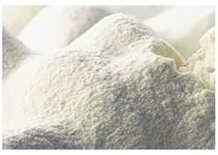 Whether you produce or purchase dairy ingredients we will work hard to earn your trust and respect as a valued business partner.